Mark P. Frissora, CEO of Caesars Entertainment Corp., stated in an interview that the recent U.S. Supreme Court ruling on sports gambling is a huge win for the gaming industry. 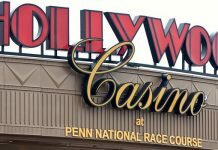 The ruling was a decision on a lawsuit brought by the state of New Jersey, which wanted to legalize sports gaming both online and on-site. In 1992, the U.S. Congress passed the Professional and Amateur Sports Protection Act (PASPA), which banned sports gaming. New Jersey argued the law was unconstitutional because it violated the states’ rights to determine for themselves laws that are not guaranteed by the Constitution. The justices agreed, and the ruling now opens up a new frontier for sports gaming. Caesars is an 80-year-old American company with revenue approaching $5 billion. It is one of the largest gaming companies in the United States. Although the company has no online gaming industries, it does own 51 casinos, horse racing tracks, and golf courses across the United States and the United Kingdom. Caesars only recently came out of bankruptcy. With 36 casinos and horse tracks in the United States, Frissora noted that the company is poised to jump into sports gaming if it is legalized by the states in which Caesars does business. While the trend has been for companies to move toward online gaming and sportsbooks, Frissora stated that Caesars would rather stay with on-site gaming. The company is positioned to continue to offer luxury hotels and VIP gaming opportunities for high rollers. Frissora said the high rollers make up a large portion of the clientele for the company’s casino properties. He noted that for many high-end clients, the online experience does not equal the thrill of on-site gaming, and their clients crave excitement. However, the CEO also noted that with on-site betting in sports sure to happen, the company would take advantage of sports-betting opportunities online if it appears to be a good way to bring more clients onto their properties. While the gaming company has had a rough patch and has shed both its debt and some properties, the company’s chief executive noted that it is poised to begin to extend its footprint into Asia. This has been very profitable for other gaming companies from the United States, such as MGM and Wynn. Rather than focus on Macau, which is beginning to show signs of over saturation, Caesars has gone in a different direction. It has plans to build a huge resort and casino in Incheon, South Korea. This will be a one-of-a-kind resort for the country with regard to amenities and high-roller action. Currently, there are 23 casinos in the country, but none is considered luxurious when compared with American casinos. 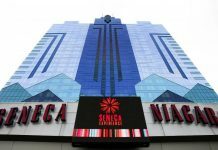 In addition, Caesars is poised to win a casino license in Japan, which would make it the first company to have an integrated gaming resort on the island nation. Frissora noted that Japan is not moving quickly, and it would most likely be 2019 or 2020 before construction would begin on a casino and resort. Because many Japanese high rollers go to China to gamble, it is expected that opening a casino in Japan could be very profitable for the company. Since Caesars emerged from bankruptcy, it has appeared to be on the forefront to not only expand sports gaming on-site in its U.S.-based casinos but also to expand its brand overseas in the Asian market, which appears to have no ceiling with regard to gaming revenue or the number of people willing to gamble.